Whiplash often happens after auto accidents, and it can cause intense pain. 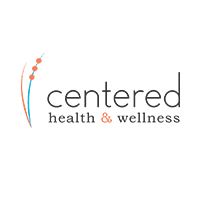 Dr. Corey Idrogo, a chiropractor at Centered Health & Wellness, serving patients in Chattanooga, TN, can help. Whiplash develops when the neck undergoes a sudden trauma. This is most commonly seen in car accidents. During the moment of a vehicular collision, the neck will hyperextend, moving off the spinal column temporarily in response to the impact. The neck will immediately attempt to correct its position, which causes it to snap sharply in the opposite direction. Although this quick movement happens in just seconds, it can result in very severe damage to the neck. The symptoms of whiplash can include pain in the neck area, pain in the shoulder area, stiffness in the neck, restricted neck movement, headaches, dizziness. Some people also experience pain in other areas of the body when they have whiplash. When whiplash is not treated, the symptoms can continue to worsen and may potentially bring on new symptoms like anxiety and depression. The whiplash pain may not start immediately after an accident. Many people feel fine following an accident but suddenly suffer from terrible neck pain and stiffness a day or two later. How Does Chiropractic Care For Whiplash Work? Chiropractic care for whiplash is customized based on the patient's current symptoms and issues. Chiropractic alignments focusing on the cervical spine area are one of the most effective ways to correct the misalignment caused by whiplash. To help relieve the soreness in the neck, shoulder, and back area, massage therapy can also be very helpful during whiplash recovery. Whiplash treatment can include mirror image spinal remodeling and instrument assisted soft tissue manipulation, as well. Some patients find that physiotherapy treatments provide extra pain relief. Some common physiotherapy treatments for whiplash can include moist heat therapy, ice pack therapy, and electrical muscle stimulation. Each patient is unique, so Dr. Idrogo will tailor treatment to get them out of pain and feeling well again as quickly as possible.